Tragic poems, penned by a Foxconn worker who committed suicide, are giving the world a glimpse of what life is like in the company’s Chinese factories. 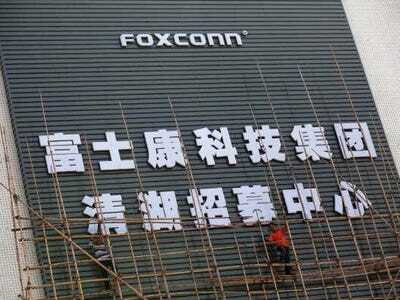 Foxconn produces electronic products for a range of companies. Most famously it produces Apple’s iPhone. The company employs over 1 million workers. But the company has seen a multitude of suicides over the years. Xu Lizhi was 24 when he died on September 30, 2014, ending his life of “military-style discipline and surveillance” at Foxconn’s massive Shenzhen plant. His poems, which previously only appeared in the manufacturer’s in-house newspaper, Foxconn People, have now been translated into English on libcom.org by friends of the Nao project, a group that campaigns for improved worker rights. Lizhi’s writing reached a wider audience when his friends collected his poems and published them in the Shenzhen News. They describe how Lizhi unsuccessfully sought employment in publishing and felt trapped in Shenzhen’s dormitories. The Nao project says 14 workers killed themselves in 2010 alone. Although media coverage helped reduce the number, deaths have continued, with many allegedly going unreported. Lizhi’s death marks the latest, but his poetry allows his hopes and aspirations to live on — past the sprawling dormitories of Shenzhen’s factory, which in 2012 housed 240,000 workers, according to The Economist. Lizhi’s obituary appears in the Shenzhen Evening News, among many of his poems.